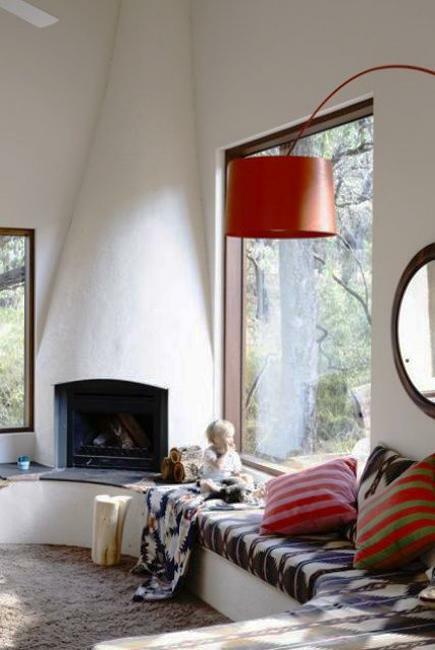 Fireplace designs with stove inserts and glass doors work more efficiently. 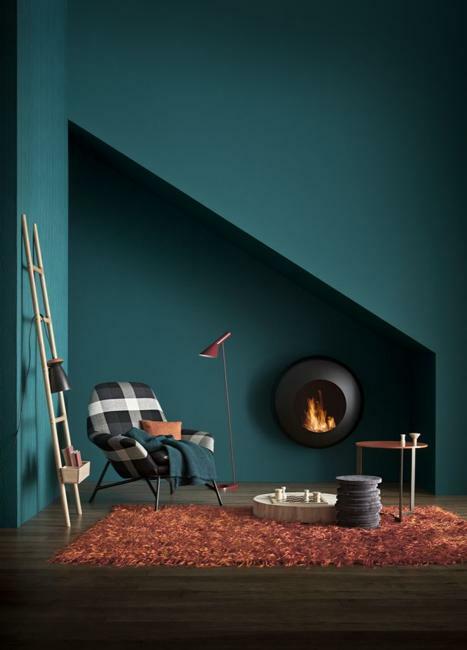 While improving the functionality of a wood-burning fireplace, a modern insert creates a safer and more comfortable room. 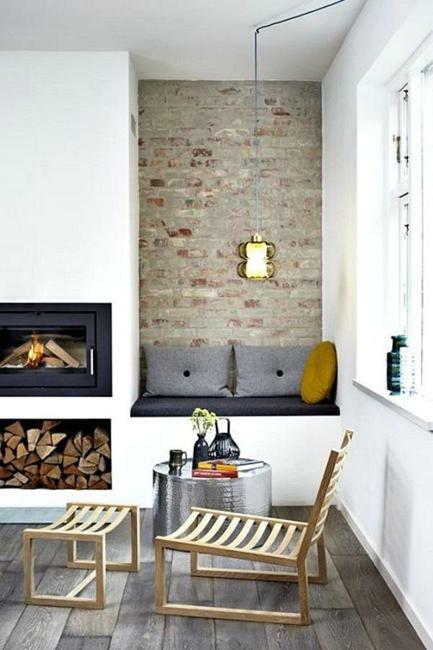 By doing a few simple things, you can dramatically improve your fireplace design, get more heat out of your fireplace and start saving money while enjoying the ambiance and beauty of a cozy seating area around your customized fireplace. 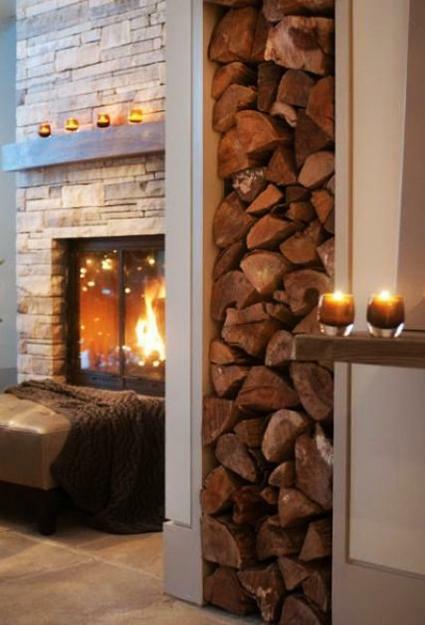 Lushome shares tips for improvement wood burning fireplace designs and provides inspirations for creating a beautiful room with a money-saving, efficient appliances. If a wood-burning fireplace is already in your room, the insert, glass doors and decorated with tiles are great additions for creating more comfortable, attractive, and safe interior design. Here are some very simple ways to improve the amount of heat that your traditional appliance produces. If the fireplace doors need repair, have loose parts, or your appliance has any smoking issues, fix these problems to improve the efficiency and safety, and enjoy the money-saving and eco-friendlier wood burning process. 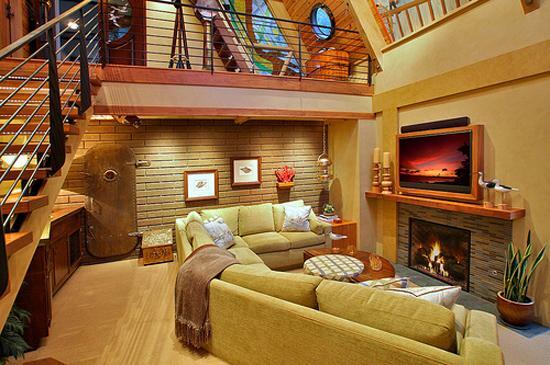 Efficiently burning wood appliances make fabulous home decorations. 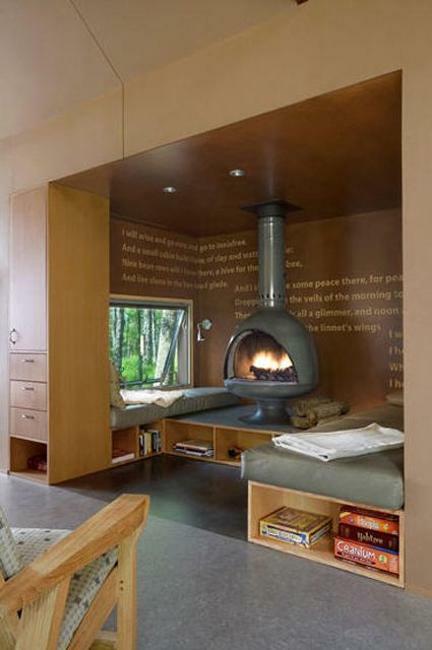 A fireplace is a spectacular focal point for the interior design and room decorating around it. Good quality, dry seasoned wood for your fireplace insert and comfortable seats promise amazing experiences, bringing warm coziness, charming glow, and ultimate comfort into your home. When you burn quality seasoned wood in the insert, the fire will burn cleaner and hotter. It increases your fireplace efficiency while producing softer warmth. Glass doors are another thing to consider for creating more comfort and safety in your home. 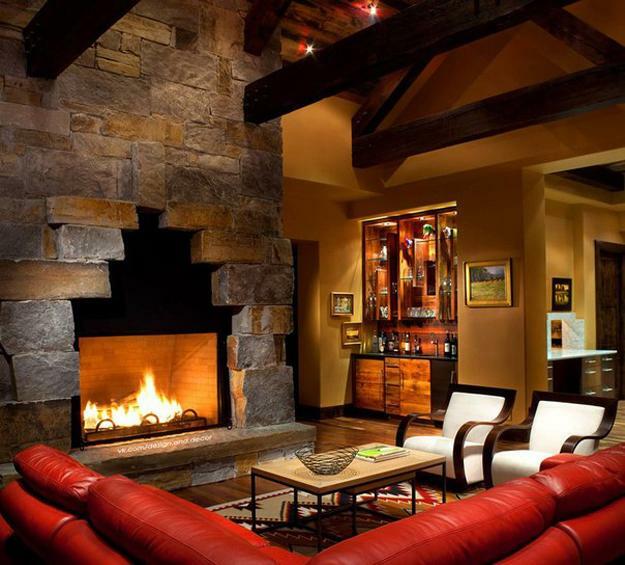 Glass doors improves your fireplace design and beautify your seating area by providing a gorgeous view of burning logs. 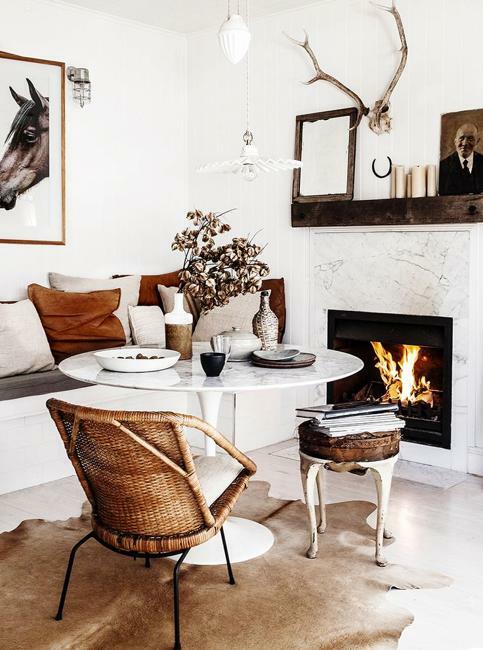 The beauty and ambiance of the fire add a charming feel to your home and enrich room decorating. Installing a glass door is the cheapest way to improve traditional fireplaces. 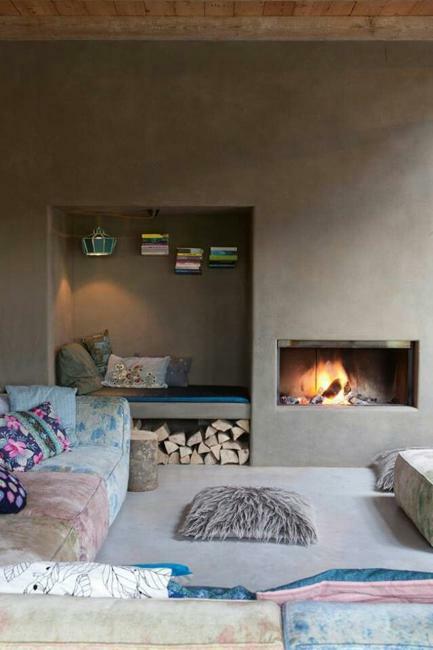 The heat from a hearth radiates out through a closed glass door which adds visual interest to the room design and allows a beautiful view of the burning wood. 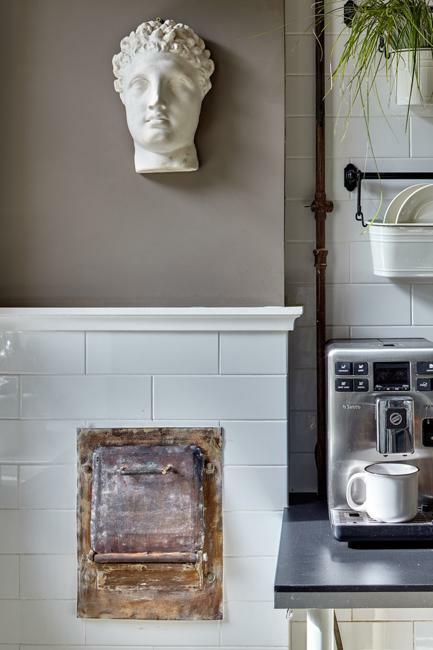 Ceramic tiles are another traditional but well-forgotten way to improve metal stoves and fireplaces. 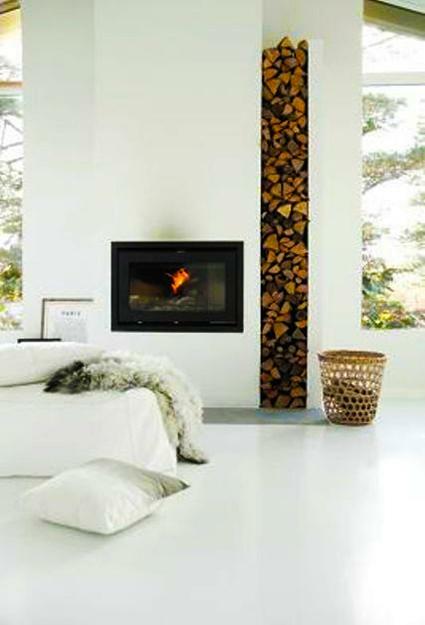 The surroundings decorated with ceramic tiles produce softer and more pleasant heat when the wood is burning. Whether you are building a new home or remodeling an old one, a fireplace is a gorgeous home decoration that plays a vital role in increasing the comfort and overall appeal of your home. Masonry fireplace designs, wood stoves, and efficient inserts with glass doors improve the efficiency of traditional appliances and make the heating process eco-friendly. While helping create a beautiful and cozy seating area, a functional and attractive fireplace design increases home values.